I’ve been fortunate to have remained healthy, motivated and passionate about long-distance running over the years. I believe some of this longevity is due to training principles and guidelines derived from years of success and failure. I’ve also had the privilege to train with, and learn from, some legends in the sport. I’ll do my best to share some tenets and principles for you to consider. Incorporating and tailoring this knowledge has helped me stay focused and healthy over the last 33 years. It’s important to realize that because everyone is physically, mentally and emotionally different, there is no magic formula for a perfect training regimen. I marvel at today’s elite ultrarunners and find it difficult to comprehend their amazing accomplishments. But I also realize that most of us are not blessed with the attributes of these world- class athletes. Select races that excite, motivate and challenge you. Motivation to train is extremely important, so don’t oversubscribe or choose events that don’t do this for you. Be sensitive to recovery between events and recognize the sport demands adequate rest and recovery, or injury may ensue. Training starts with a baseline mileage. This is the average weekly mileage you’ve consistently maintained over the last three to four months. My weekly running mileage significantly drops during the fall season for rest and recuperation. Baseline mileage is the starting point to gradually increase weekly mileage and the obligatory long weekly training run. Strive to increase both the weekly and long run by 10% each week. Allow at least three to four months to get ready for your next event, including time for a two to three week taper. Weekly mileage goals will vary according to the event distance you are planning, and are influenced by age, ability, time to train and your other personal factors. Consider building up by 10% to a range between 60-80 miles per week. Long training runs should build up to a range of 25 to 35 miles or six to eight hours on the trail. friend and partner-in-crime John Demorest. It’s critical to tailor your training to the type of terrain, profiles and characteristics of your planned events. Train for the conditions you will face. Try to run on trails, mountains or flats that prepare you for what you will face in the races you’ve selected. Most of us don’t have access to the mountains like the San Juans or the heat of Badwater, but attempt to tailor your training to mimic what you will face. Again, everyone has different time constraints, but attempt weekly training regimens that have at least one day of rest. Include cross-training for overall strength and endurance. Strive to vary your hard and easy runs and include cross-training to keep from getting burned out. If possible, run with friends who have comparable goals, but also train solo at times to run at your level and pace. Weight training for endurance is very important. Lift weights for upper body endurance three times per week. While at the gym, include core training and incorporate easy stretching as a part of your daily workout. A well-balanced diet and ample rest are critical to success. Limit alcohol and caffeine and try to get at least eight hours of sleep. Again, everyone is different, but pay attention to how you feel and adjust accordingly. Keep a logbook that not only annotates your workouts, but allows you to keep notes on how you feel. While a weekly schedule keeps you accountable, be flexible and listen to your body. If you are sick or injured, make smart decisions and don’t continue to train at the level you planned until the issues are resolved. If you find yourself falling asleep in front of the TV or while reading a book, you may need to back off, as this is a sign of overtraining. I hope these training suggestions and recommendations help in creating a personal training regimen for success and longevity! Editor’s Note: Scotty ran his first ultra in 1979 at American River 50 mile and then ran his first 100 miler at Western States in 1981, which he ran under 24 hours for a silver buckle—something he went on to do another 16 times. 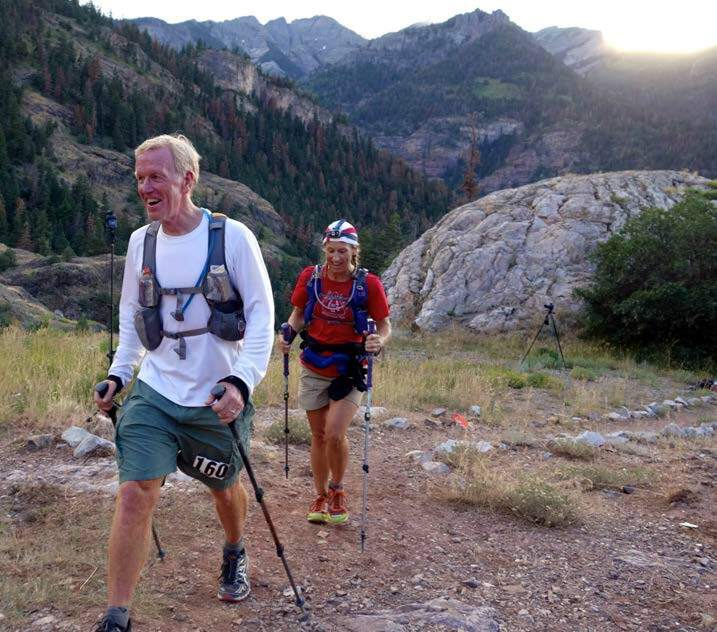 He’s completed a total of 37 100 milers, including both Hardrock and UTMB in 2014, earning him the age group performance of the year in our UROY balloting. Naturally an ultra legend like Scotty has a top 20 instead of a mere top 10. The editor’s note fails to mention that Scotty is also a race director par excellence. His races are the gold standard to which I compare other ultras! Great coach and mentor as well. That was a really nice article. I hope to see more articles from Scotty Mills.